Random Tuesday Thoughts, hosted by Stacy Uncorked, is back for another week of randomness. Link up at her site if you'd like. Saturday evening me and Jason headed up to Iowa to visit with my gal pal and her guy. It had been over a month since we'd been up there and I was missing time with my bestie. After taking a 3-hour ride, we were greeted by Alaina and several of her neighbors. 1) Alburnett, Iowa has some of the friendliest neighbors around. Every time I'm there, they're out and about and always friendly. Kids play at each other's houses, and someone can still run over and ask for a cup of sugar. 2) If you live in that part of Iowa, be prepared for Iowa Hawkeye fandom. Those people are loyal. And, if a game is on, you better know you're going to be watching it. Sunday morning we gathered around in Alaina's living room to watch church live online. I love that our church provides us with that option if we're not able to be at an actual campus. If there's one thing I like about our subdivision, it's Halloween! There's always a ton of trick-or-treaters around. 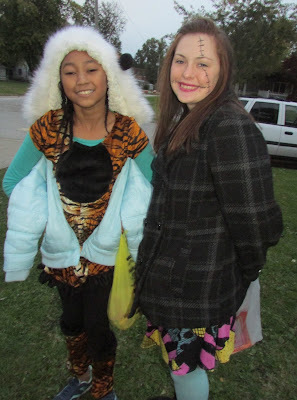 This was our second year passing out candy and we had just enough before running out. I'd say there were at least 150 candy crazed kids. Jason's grandpa passed away last Thursday. He's not overly close to many in his family but did think highly of his grandfather. The funeral is later today and Jason has been given the honor of officiating it. This is his first time. He's been preparing for days. Well, that's it for me today. What randomness have you got going on? There's a part of me that would love to live in a small town like that, it makes me glad i know my neighbors and could borrow or lend sugar at any time. 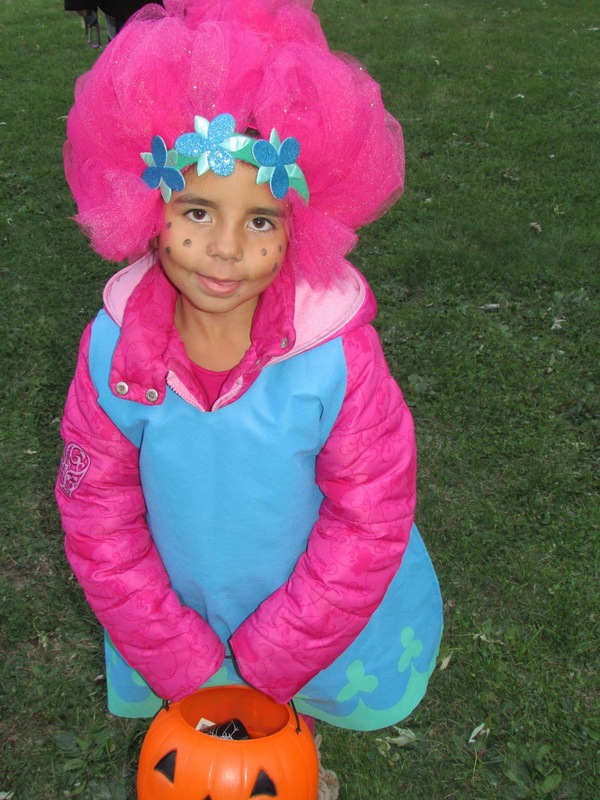 That's the sweetest little troll i've ever seen, it looks like everyone had fun at The Great Neighborhood Candy Exchange, just as it should be. Please accept my condolences for the loss of your husband's grandfather. May the peace of The Almighty that passes all understanding comfort your hearts and season your husband's speech with grace as he officiates the service.